Poppy anemone (Anemone coronaria) combines the delicate papery petals of poppies with the shade tolerance and graceful form of anemones. They are most known for the electric blue form of the basic species though cultivars in numerous colors are available. Unlike most other anemone plants, poppy anemones grow from underground tubers. At just 12 to 15 inches tall, they are also much shorter than other anemones. The foliage is a tiny clump of dissected leaves just six inches tall and wide from which a single boldly-colored flower stalk rises in spring. 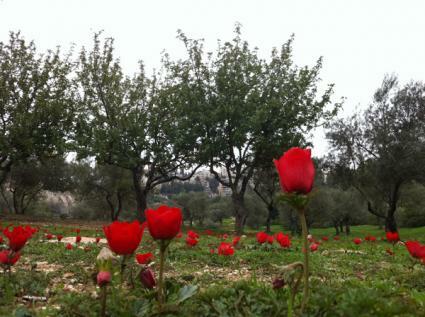 The blossoms are two to three inches across and look almost identical to field poppies. Poppy anemones like partial shade and rich, well-drained soil. They are hardy in the southern half of the country, but in more northerly climates the tubers may be dug up in fall and overwintered in a protected location for replanting in spring. They are hardy in USDA zones 7-10. Poppy anemones are perfect for massing with other spring-blooming bulbs in the filtered light below widely spaced deciduous trees. They can also be incorporated in planting schemes of cool season annual flowers and woodland garden borders. Small groupings should be located where they can be viewed at close range though large swaths of poppy anemone are very effective at a distance. 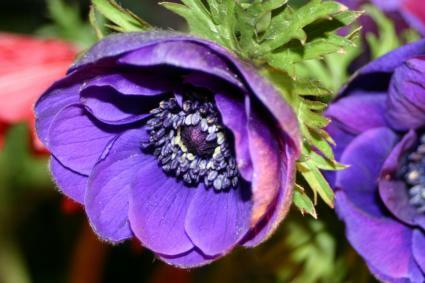 Plant poppy anemone tubers in fall or early spring about two to three inches deep and six to eight inches apart. The part of the tuber where stems have previously emerged will be scarred - these should be facing up when the tuber is planted. The planting area should be a bed of loose soil that has been enriched with an ample quantity of compost. If drainage is poor, sculpt the planting area into a low, broad mound. Poppy anemones grow best in sandy soil, making it worthwhile to mix sand into the planting area if the soil has heavy clay content. New plantings should be watered at least once per week in spring when the leaves and flowers are emerging. The flowering period is brief, but spectacular. Allow the foliage to remain after the flowers fade until midsummer when the plants naturally begin to go dormant. At this time, cut the foliage to the ground and spread a layer of mulch over the planting area. Pests and disease are not a problem with poppy anemone and there is no other annual maintenance needed unless the bulbs are to be lifted in fall for storage over winter. It's a good idea to divide the patch of tubers every few years in fall to prevent the plants from becoming overcrowded. 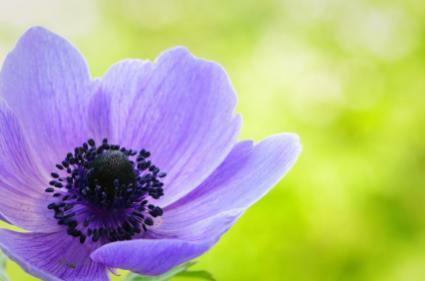 Variation in poppy anemone is a matter of flower color. Brent abd Becky's sells them in batches of 10 bulbs $4.50. Larger quantities are also available. American Meadows offers them for 40 cents per bulb or in bags of 25. Poppy anemones could be a dictionary definition for the word delicate, or perhaps, refined. Their paper thin petals, ephemeral bloom and clear, simple color scheme make them a worthy acquisition for the dedicated gardener or bulb enthusiast.